If you're looking for a new date night restaurant, you probably check out online reviews. If you're considering buying a new couch, you'd be smart to find out what other couch buyers have to say about it first. When it comes to finding lawyers, clients are increasingly turning to online reviews to discover and evaluate attorneys. And being reviewed online is becoming increasingly important. 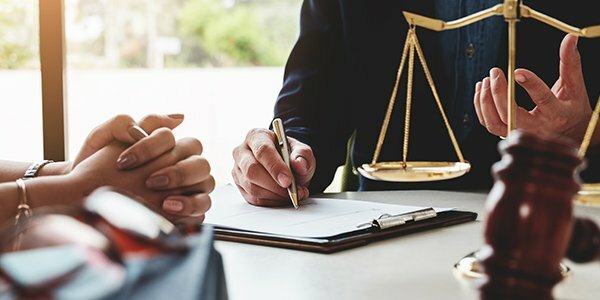 According to a new survey by FindLaw's Lawyer Marketing, two-thirds of consumers would be more likely to hire a lawyer with online reviews. I know, no one wants to be rated on a scale of one to five stars. But plenty of consumers want to know about others' experiences before choosing a service. And while review sites like Yelp might have started as a way to vet the neighborhood sandwich shop, review sites are now being used by consumers looking for professional services, including those looking for lawyers. Not only are two-thirds of consumers more likely to hire lawyers with online reviews, 59 percent of people report using online reviews when choosing professionals, including lawyers, according to FindLaw's new survey. And Millennials are, perhaps unsurprisingly, even more dependent on online reviews; 71 percent have used them for professional services, compared to 49 percent of Baby Boomers. And consumers want to review their lawyers. According to FindLaw's survey, 57 percent of consumers who have used an attorney recently left an online review or rating. Perhaps even more surprisingly, it's not just the complainers who review attorneys online. Most clients leave positive reviews -- by huge margins. All in all, this is a good development for lawyers. The rise of online reviews means that there are more ways to get exposure to potential clients, and more avenues to spread your name. But it also means that lawyers have one more thing to manage. In a new white paper, FindLaw's Lawyer Marketing goes in to just that. "You Can't Control Your Firm's Reputation. (But You Can Manage It.)" details how attorneys can influence their online ratings. The key is actively soliciting feedback, such as through a review button on your firm's website, in order to ensure that you get more reviews -- and more positive reviews. With some investment, those reviews could soon lead to enhanced visibility and continued growth and success for your firm. For more insight on online reviews and reputation management, download FindLaw's new white paper for free today.